With Kong: Skull Island's release this week, it's time to take a look back at the original film that started the long tradition of giant monsters. 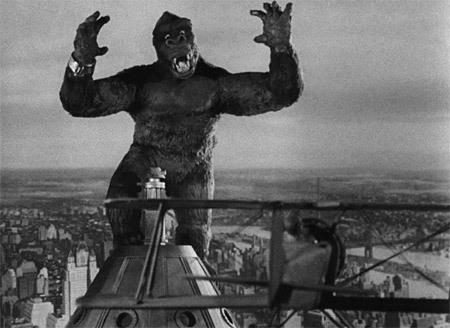 1933's King Kong revolutionized the way that special effects were used in film. Never before had the world seen a movie of this scale and magnitude. Directed by Merian C. Cooper and Ernest B. Schoedsack with special effects by Willis O'Brian, King Kong is simply one of the most important films of all time. It's well known that King Kong isn't the first giant monster movie. The Lost World was a silent film from 1925 that saw a brontosaurus run loose in London. Special effects artist Willis O'Brian was responsible for the stop motion dinosaurs in The Lost World. 8 years later, O'Brian was the man who brought King Kong to life. Never before had a movie of such scope and scale been seen. It pioneered special effects and truly made the unbelievable believable. You have to stop and think about the period that King Kong was released. This film was only 6 years removed from the silent era. While Universal was releasing their iconic Monsters franchises (Dracula, Frankenstein, the Mummy), RKO Pictures was developing a film that crossed genres while essentially creating a brand new one. King Kong isn't just an action/adventure movie. It's a horror film. It's a love story. It's Sci-Fi. It's a thriller. It's a drama. This is literally a film that has it all. From the amazingly beautiful and intricate sets to the designs of the dinosaurs and Kong, this film showcased the power of moving pictures and the power of escapism. For the uninitiated (and really, you need to correct that now), King Kong is the story of Carl Denham (Robert Armstrong), a movie director looking to make his biggest picture yet. He gets a map to a lost island that supposedly contains a giant monster. With the help of a beautiful actress, Denham sets out on course to Skull Island. Shortly after they arrive, the natives kidnap Ann Darrow (Fay Wray) as a living sacrifice for Kong. Denham's crew has to figure out a way to get Ann from Kong's hairy grasp. Eventually, Ann's love interest Jack Driscoll (Bruce Cabot) manages to rescue her. 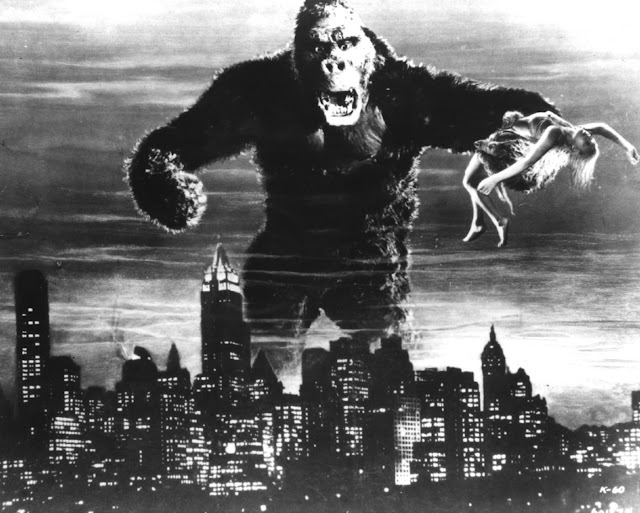 Kong goes after her only to be subdued by gas grenades and taken to New York City to be put on display on Broadway. At the debut show, Kong escapes and starts his rampage through New York. The climax is one of the most iconic moments in film history. Kong on top of the Empire State Building. How's that for a brief synopsis? King Kong spends a lot of time building up the characters. Kong himself doesn't show up until 45 minutes into the film. Instead, we get to know the main players. We get to see the relationships building and the determination of Denham to get what he came for. When Kong arrives, it's a spectacle to be seen. The stop motion animation is gorgeous. Kong has a personality. The use of full sized parts (Kong's head, hands, feet) are mixed with projections and composites to get the actors in the same shot as the monsters. It was a marvel the way these filmmakers got around the technical limitations of the day in order to get what they needed. They essentially created the blueprint for special effects. While on Skull Island, King Kong is an action/horror movie that's fast paced and full of dinosaur on giant ape action. There are some terrifying scenes of Kong eating people or stomping them into the mud to their deaths. His fights with the various dinosaurs inhabiting the island are brutal. His finishing move on the Tyrannosaurus is legendary. In fact, it's been reused in every King Kong movie since. The great thing about this movie is that is really is a beauty and the beast story. Kong falls in love with Ann and does everything in his power to protect her from the monsters on the island. While in New York, he breaks free of his restraints after thinking that the photographers are hurting Ann. This beauty and the beast theme is played up several times throughout the movie. In fact, the final line of the film is a version of this idea. If you're only familiar with the 2005 Peter Jackson version of King Kong, you're really doing yourself a disservice. 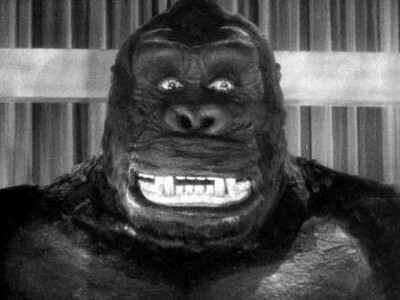 1933's King Kong is a revolutionary film that combines multiple genres in bold and exciting new ways. It set the bar for special effects in films that took decades for the industry to catch up with. With Kong: Skull Island paving the way to the giant ape's eventual showdown with Godzilla, it's a good time to be a giant monster movie fan. However, no matter how good this current movie could be, there is no way that it will be as influential or important as the one that started it all. At 84 years old, the original film firmly has it's place in cinematic history locked down.